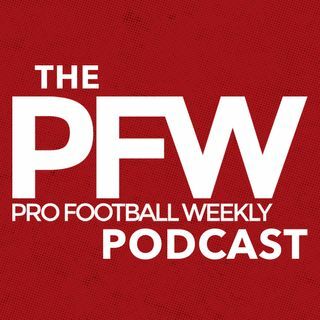 On the new PFW podcast, Eric Edholm (@Eric_Edholm) of Yahoo's Shutdown Corner joins host Arthur Arkush, analyzing Notre Dame's DeShone Kizer after attending his Pro Day, and predicting where Kizer and his top QB prospect peers may fit in the draft. Eric also discusses controversial Oklahoma RB Joe Mixon, a top-10 talent if not for off-field concerns, plus an altered CB landscape with Pro Day injuries (Washington's Sidney Jones and UCLA's Fabian Moreau), a domestic violence ... See More arrest (Michigan's Jourdan Lewis) and poor Combine (Florida's Teez Tabor). Eric also has thoughts on the Browns' QB puzzle, Connecticut super DB Obi Melifonwu — is he a safety or corner? — and much more.